Note: I partnered with/received compensation from Babywise.Life to write this post. Although this is a sponsored post, all opinions are my own. When you have a baby, there will always be a period of time when the baby won’t sleep. Looking ahead to when this baby is born, I am expecting the typical new-parent sleep deprivation. But I’m also strategizing on what we can do to help this baby learn to sleep through the night, because I know with five kids I’m going to need as much sleep as I can get! Now, I think some kids naturally fall into better sleep patterns than others, and I’ve definitely noticed that with my four kids so far. But I do think that there are certain ways that parents can gently encourage their kids to develop good sleeping habits. With some guidelines to help, Derek and I must have hit on the right combination for our kids because all four started sleeping through the night consistently (I define that as sleeping for at least an 8-hour stretch at night) by around two months old. I'm tentatively confident that this baby will do the same! So for the sake of review for myself, and maybe some extra strategies for those of you in a current sleep-deprived baby stage, I wanted to share a few things that worked for us. I make sure baby is getting a full feeding every time. What I mean by a “full feeding” is making sure your baby eats until they don’t want to eat anymore. Newborns love to fall asleep while nursing, but I did everything I could to make sure my babies stayed awake until they were done eating. If you let them, babies may fall asleep before getting their stomach full, or before getting the more satisfying hindmilk. If they don’t get a full feeding, they are going to want to eat again sooner. That’s not helpful for a good night's sleep! Especially for the last feeding before bed, I make sure they stay awake and get as much milk as possible. I try to avoid bad falling-asleep habits. I try to make sure my baby doesn’t fall into a habit where they need something to fall asleep. To be clear, there have been many times when I nursed my baby to sleep, or let them fall asleep in a swing, etc, but I just try to avoid letting these things become a habit. It’s better for nighttime sleep if babies also learn to go to sleep on their own from an awake state, so I try to give my babies a chance to practice that. I don’t let them nap (at all) in the last stretch before bed. During the day we loosely follow an eat-awake-sleep pattern for baby, but between the second-to-last and the last feeding of the day, I do everything I can to keep my baby awake the whole time. This is pretty much common sense. Can you fall asleep easily if you take a nap an hour before bedtime? I want my baby to feel good and tired by the time bedtime rolls around. After the last feeding, they go straight to bed. I recognize that I might have to be creative in figuring out my individual, unique baby. One of our kiddos would not fall asleep by himself for weeks, until we figured out that a night light and a white noise machine were what helped him feel comfortable. With two older siblings constantly around during the day, he just didn’t like to feel like he was all alone at night! Another kiddo needed the thermostat at exactly 72 degrees for him to get good sleep at night. With all my babies I did the things listed above and also had to figure out what would help them individually to sleep better, and every kid was a little different. If some of you have read Babywise, you may recognize a couple of the ideas above from that book! My mom gave me the book that came before Babywise when I was pregnant with Wyatt - and I’m so thankful she did, because as a new mom I had no idea what a day with a baby would look like, and that book gave me a good idea of what to expect. Some of the overall principles from Babywise for helping develop good sleep habits obviously stuck, and they have worked really well for our family! What Do you Mean By "Gently"? The reason I say that these are ways I gently helped my babies sleep through the night is because as a mom you need to work around your babies' needs. After all these years of practice I’ve had with my babies, I’ve learned it’s up to me as their mom to do what I can to help my baby learn how to sleep, while also being flexible when unique situations arise. There are going to be days where you break all the "rules", and that's okay! 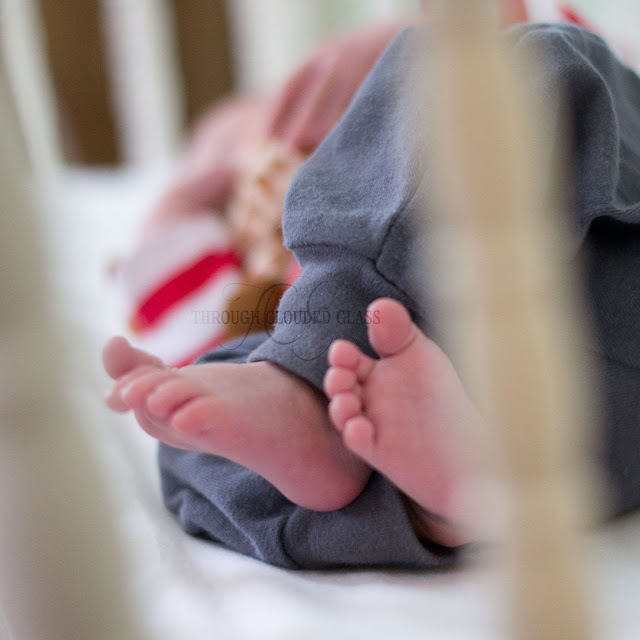 To me, the ideas I got from Babywise and other sources, including some of the ideas I listed here, were a great jumping-off point as guidelines for me to encourage my babies to sleep. But part of finding confidence as a mom is learning when you need to do something a little differently, and feeling good about following your instincts. That's the spirit in which I share these tips, as things to keep in mind as you help your baby figure out how to sleep well! Did you try anything specific to help you baby sleep through the night? When did your kiddo start sleeping through the night? For more ideas, I really loved this article on encouraging newborns to sleep at night - it included some things I’ve done with my babies, and some things I didn’t think of (like using a different nighttime swaddle)! Great post! I could say the same exact tips and thoughts on it all, we've had a similar set of experiences and have used similar guidelines! This sounds like a post I would write! We used BabyWise and tweaked it to work for us. Emmett was sleeping through the night at 2 months as well. Fingers crossed it happens this time too :D Nice work, mama! Yes! It's always nice to hear my experience/strategies aren't an anomaly! I think this advice is spot on. I didn't read any books before having Gracie because it all stressed me out so much, but this is more or less what my instincts had me do with her. She was sleeping through the night at just a few weeks old. I attribute a lot of that to her just being a good sleeper, but I know teaching her how to sleep alone from a young age made all the difference.